An HHS OIG report finds that one out of three of Medicare Part D’s 44 million prescription drug coverage beneficiaries filled at least one opioid prescription in 2016 at a taxpayer expense of over $4 billion. Alabama and Mississippi led prescribing rates, as nearly half of their Part D patients received opioids. HHS finds that 90,000 people are at risk of misuse or overdose due to high doses or apparent doctor-shopping. One patient filled 11 opioid prescriptions in a single month from eight prescribers and six pharmacies across five states. The report says prescribers must use state PDMP doctor-shopping databases, recommends that HHS crack down on doctors who overprescribe opioids for possible patient resale or recreational use, and urges improved public health surveillance and advancement of pain management practices. Five-employee, Seattle-based BloomAPI raises $2.4 million in venture funding to continue development of its EHR information exchange and record release and technology. Founder Michael Wasser also co-founded insurance signup site HealthSherpa as an alternative to Healthcare.gov. 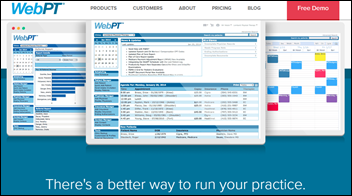 Venture capital firm Canal Partners sells its stake in rehab and therapy EHR vendor WebPT to Battery Ventures for 16 times its original investment. A Craneware trading update says the company expects to report double-digit revenue and earnings growth in its September report, also noting the first sale of its cloud-based Trisus Claims Informatics solution. 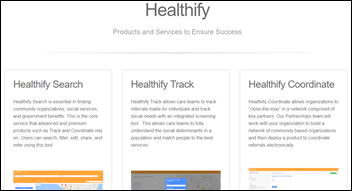 Social services coordination platform vendor Healthify raises $6.5 million in a Series A funding round led by BCBS Venture Partners, increasing its total to $9.5 million. 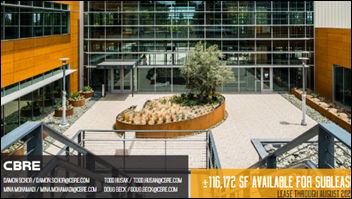 The fading-fast Theranos lists its Palo Alto, CA headquarters building for partial or complete sublease. Minneapolis-based medical liability insurance vendor Constellation sells its health IT consulting and analytics business (MMIC Health IT) to Med Tech Solutions. 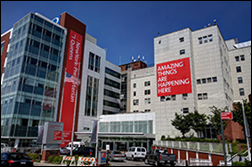 New York-Presbyterian (NY) chooses Epic to replace several systems, most notably those of Allscripts. MDRX shares have declined in price by around 7 percent following analyst reports stating that NYP is the fifth-largest Allscripts Sunrise EHR customer, representing 6 percent of its installed base and contributing up to $30 million of the annual revenue of Allscripts. Merrie Wallace, RN, MSN (Premier) joins PerfectServe as chief revenue officer. SPH Analytics hires Suzanne Cogan, MBA (Orion Health) as chief commercial officer. AuntMinnie.com International Editor Eric Barnes died July 5. USC’s Keck Medicine (CA) goes live on QGenda for publishing ambulatory clinical and call schedules. 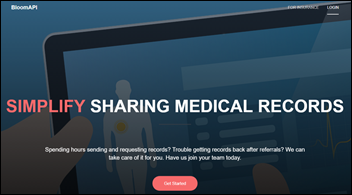 Health Fidelity launches a patient data acquisition and aggregation platform for providers and health plans, with its first customer Mount Sinai Health Partners (NY) using it to automate retrieval of Epic patient records for review in bypassing the use of extract-transform-load tools. 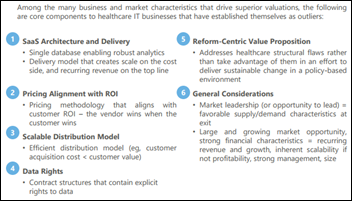 Last year, HGP discussed the concept of Exploiters and Solvers in the healthcare industry. The US healthcare economy is indisputably inefficient. Inefficient markets create opportunities for exploitation or solution. Exploiters seek to exploit inefficiencies to maximize returns for a select few. Solvers seek to eliminate inefficiencies to maximize returns for many. In the context of healthcare, one can quickly see the potential for moral hazard. Martin Shkreli, for example, is an egregious exploiter. However, exploiting versus solving in healthcare cannot be taken at face value because economic interests often do not align with patient interests. Martin Shkreli is chastised for his actions, but many stakeholders in the healthcare industry pursue some degree of self-interest at the expense of patients that ultimately utilize their product. Two non-profit health systems in the same region may compete at the expense of the patients they serve. Shkreli just crossed the subjective line of moral hazard. 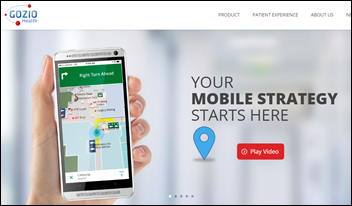 Piedmont Atlanta Hospital (GA) rolls out Atlanta-based Gozio Health’s mobile way-finding app. 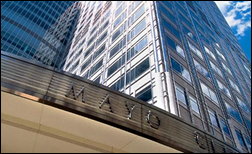 Mayo Clinic’s first sites go live on its $1 billion Epic system. 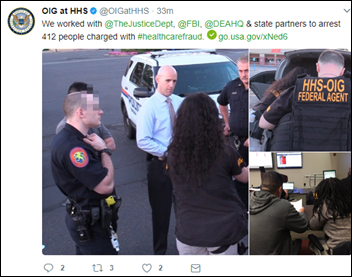 HHS’s Medicaid Strike Force charges 412 defendants — including 115 licensed professionals – with fraudulently billing $1.3 billion in medically unnecessary services, many of those incidents involving patient recruiters who were paid kickbacks to provide patient information. Of those charged, the DOJ says 120 were prescribing and/or distributing opioids. In England, the government pledges $27 million to help hospitals update their IT systems to protect them against ransomware. NHS Digital will also issue cybersecurity threat alerts, staff an incident hotline, and conduct onsite security assessments. Here’s Vince’s HIS-tory of Cerner, Part 1 from a few years back to pay tribute to Neal Patterson. I’m thinking about re-running the remaining five parts of the series since I enjoyed them the first time around. Optimum Healthcare IT is named a top-rated implementation services firm in a new KLAS report. EClinicalWorks describes how its Healow Kids mobile app connects parents with their child’s pediatrician.